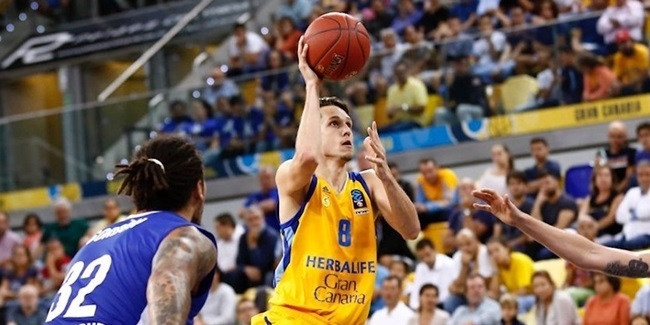 A great season in Spain allowed Herbalife Gran Canaria to return to the Eurocup. Led by head coach Pedro Martinez, Gran Canaria finished the Spanish League regular season with a club-best 22-12 record, reaching the playoffs and the Copa del Rey tournament. 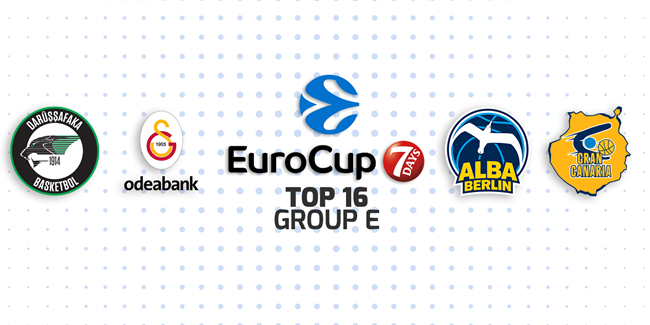 Gran Canaria is a classic team in the competition - this will be its ninth Eurocup season. Founded in 1963, Gran Canaria reached the Spanish first division in 1985, but did not gain a foothold for good until 1995-96. The club played its first Spanish League playoffs game in 2000 and played in the Korac Cup in 2001. Gran Canaria made its ULEB Cup debut in 2003-04 and went through to the eighthfinals before losing to Real Madrid. The club did not return to the ULEB Cup elimination series until 2007, when it lost in the eighthfinals against FMP. Gran Canaria had a great 2009-10 Eurocup season, but a home loss against Panellinios in a do-or-die game prevented the team from reaching the Finals. In the next two years, Gran Canaria could not reach the elimination series despite a combined 11-7 record. Great results arrived in the 2012-13 season, as Gran Canaria reached the Spanish Copa del Rey and the Spanish League semifinals for the first time in club history. Another step forwards took place in the 2013-14 season, as the club moved to the magnificent, 11,500-seat Gran Canaria Arena. With a new home, a new coach and the same ambition as ever, Gran Canaria can reach high in the 2014-15 Eurocup.